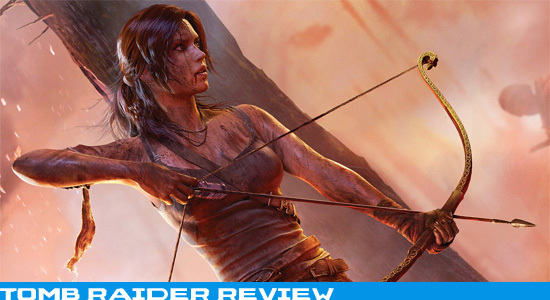 Tomb Raider is a re-imagining of the infamous action-adventure franchise and explores the visceral origin story of this character. 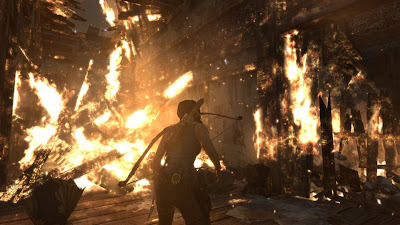 In the game, Lara Croft ascends from a frightened young lady on her first adventure and emerges as a hardened survivor. With only her sharp instincts and her innate ability to push the limits of human endurance, Lara must fight, explore, and use her intelligence to unravel the dark history of a forgotten island and escape its tight grip. The Tomb Raider franchise was never one of my favorites and the movies just about destroyed any respect I had. That being said this new relaunch of Tomb Raider is huge breath of fresh air. It feels as though the potential of the series was realized at last. Choosing to focus on her struggle to survive was ideal, and at times hard to watch. So much painful detail goes into structuring her as a character, they practically made it an art form. The level design helps with this and certainly brings some stability the previous games lacked. Everything works so fluent together from map design, story flow, and even quick time events. Throw in a gorgeous environmental and character design to create the new school Tomb Raider. Complete with weapon customization and a streamline passive cover system to nail down solid combat controls. Not surprisingly however the same level of detail was not put into the multiplayer. It lacks any real innovation or even reasons to play it for more than two hours. It certainly seemed tacked on with simple modes and so glaring technical issues that were easy to exploit. As for single player the skill trees and progression system were so terribly implemented it almost blew my mind. About 75% of the skills were useless and the rest just helped you level up faster. Quick Time Events were another issue in the game especially for the PC which until recently had no button commands and left you guessing which button to mash on numerous occasions. Another missed opportunity came in the form of optional tombs, there was no complexity and defeating the simple puzzles took mere minutes. Tomb Raider has made some huge improvements on the franchise and I will certainly keep my eyes out for the next game in the series. While there were some slight issues, most of it just seemed to be from lack of polish. My suggestion to the developers would be just avoid multiplayer in the future and make the focus on a more refined campaign. Lara's future certainly looks stunning and more than likely very violent, but man she can take a beating.